All those fiction techniques you’ve spent time mastering — dialogue, description, setting, mood, scenes, characterization, and plot — are equally useful in writing nonfiction. Yes, there is more leeway in nonfiction than in the last twenty-five years, but publishers still value creative nonfiction or fiction written with fiction techniques. 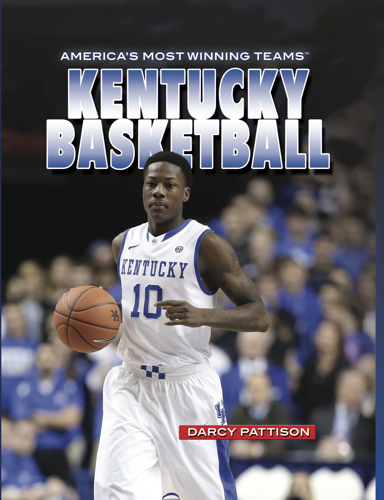 For example, I have a new nonfiction coming out next year, Kentucky Basketball: America’s Winningest Teams (Rosen, 2014). I searched and searched for an interesting opening to the story, until I found a scene that was worthy of describing. It was Valentine’s Day, 1938. Packed into the University of Kentucky Alumni Gym were over 4000 people, some sitting in windows, others literally hanging from the rafters. The UK Wildcat basketball team led top-ranked Marquette University team by 10 points. It’s an exciting rivalry game, early in the history of the basketball program at Kentucky. Fiction techniques dictated that I set the scene immediately. Then I use sensory details to fill in the scene to describe the fast-paced last few minutes. Joe “Red” Hagan shoots a long 49-foot field goal from near the half-court line. When Marquette missed three more times, it becomes the winning score. Then, the interesting part started. In the audience was “Happy” Chandler, governor of Kentucky. He was so excited by the win, and especially Red’s winning shot, that he called for a hammer and nail. He rushed onto the court and at the spot from which Red shot, Chandler hammered a nail into the floor to commemorate the moment. It’s stuff of legends. And it deserved a full scene, which meant fiction techniques. This means that while I was researching the nonfiction topic of Kentucky basketball, I was really looking for a certain type of information. Scenes. I look specifically for scenes with a beginning, middle with conflict, and ending. It needs to be something fun and interesting, a specific event. Details. Next, I look for details. Here’s a fact: the basketball arena was meant to seat 2500, but 4000 fans were in attendance. A newspaper article of the times specifically said that fans were literally sitting in windows and hanging from the rafters. I look for numbers, colors, sizes, shapes, extended descriptions, and other specific details. These will all help the story come alive. Timelines. The timeline of the basketball game was important to lay out and newspaper reports were helpful. The details of the first half were important to understand, so I could focus on the last three minutes. Personalities or Characters. This story is made richer by the presence of Happy Chandler, governor of Kentucky. What a happy thing that he was named Happy! It added to the appeal of the story that the governor with such a nickname was so Happy that he did something unexpected. Unexpected. The story is interested because of the governor’s unexpected reaction. Stories of last-minute wins are commonplace, even if in the moment it feels like a miracle. By itself, Red Hagan’s shot isn’t remarkable enough to include in a book like this. But add to that the unexpected hammer and nail, and it becomes a remarkable story of a fan who wanted to acknowledge a miraculous shot. That’s why this story made it into the book’s introduction, surprise. Research and document all your research; but while you’re researching, think fiction techniques. And your nonfiction article will become an interesting story that both informs and entertains.